It is with thanks to Hampstead Tea that I get to write this review for two of their relaxing, herbal range. Lavender & Valerian and Royal Camomile. Lavender & Valerian is brand new to this range. The teabags are chlorine-free bleached and tags are stitched, not glued or stapled and the packaging is 100% recyclable. Hampstead Tea scour the world’s herb growing areas for delicious biodynamic herbs and spices and where possible use only these for their teas. Biodynamic teas are grown with the greatest respect for the surrounding ecosystem. Their tea is grown in total harmony with nature, free from any chemical pesticides, delivering tea with great taste whilst giving you peace of mind. Chamomile relieves inflammation, soothes and relaxes. Each bag is in individual sachets. Opening the sachet I am met with a dry yet sweet, camomile scent. Pure and herbal. Steeping Instructions: Steep one sachet of tea per person for 3-5 minutes. 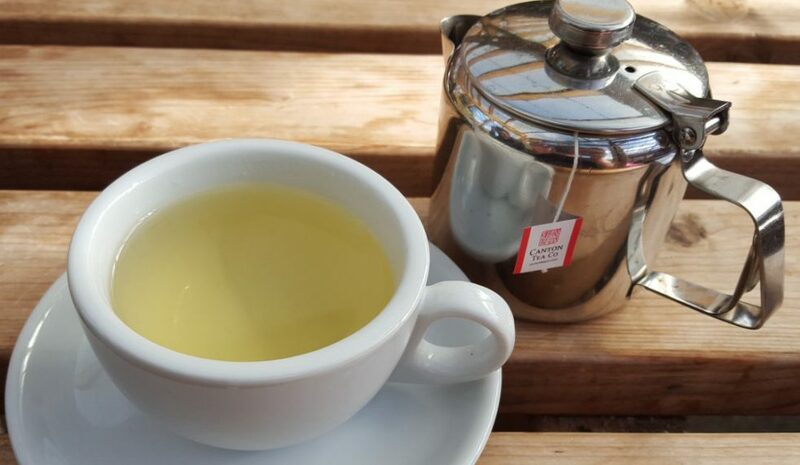 Once steeped the first few sips reveals a delicately sweet and soft camomile flavour with a touch of dry herbs and flowers in the after taste. Clean tasting and pure. Once it cools the camomile remains light but the sweetness diminishes a little. Even at this stage the herbs are not thick nor too dry. Overall it had a nice balance and was not as dry as I expected, plus it tasted pure. Meditating your inner spirit is something we should all do from time to time and so lovingly we have combined aromatic lavender flowers and Valerian Root to help you find the way. Opening the sachet I am met with a strong, musty scent from the Valerian with a sharp, perfumed Lavender undertone. Steeping Instructions: Steep one Tea Bag per person for 3-5 minutes. Once steeped the first few sips reveal a light, floral note that sours and perfumes into the after taste, but is undeniably that of fresh lavender. There is some dryness in the after taste and the musty scent of the Valerian has also made it’s way into the taste. As it cools the strength thickens slightly to make it more herbal tasting. Overall it took me a while to get over the pungent Valerian, but I know it’s for health rather than pleasure. Along with Lavender, Valerian is also used to induce sleep and help with insomnia. But they were both pure tasting which was extremely good news. Thank you Hampstead Tea for giving me the opportunity to review these herbal blends.